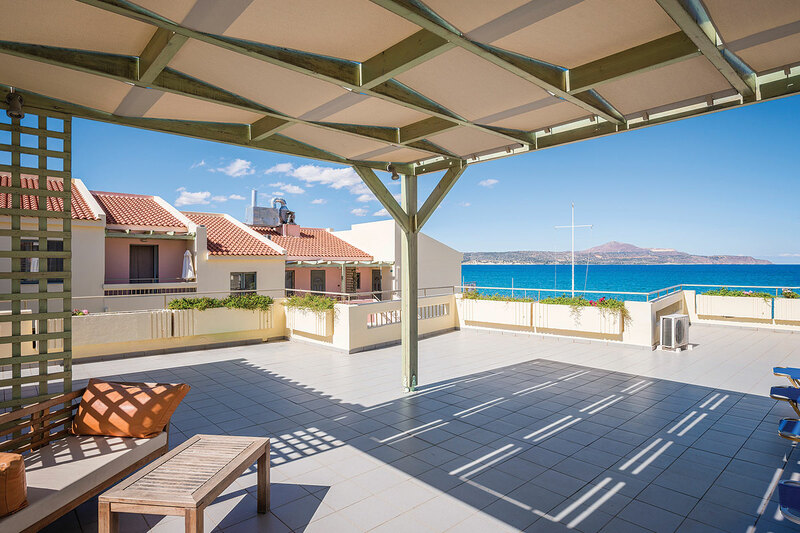 This one-bedroom apartment offers beautiful panoramic views and can accommodate up to 4 guests. 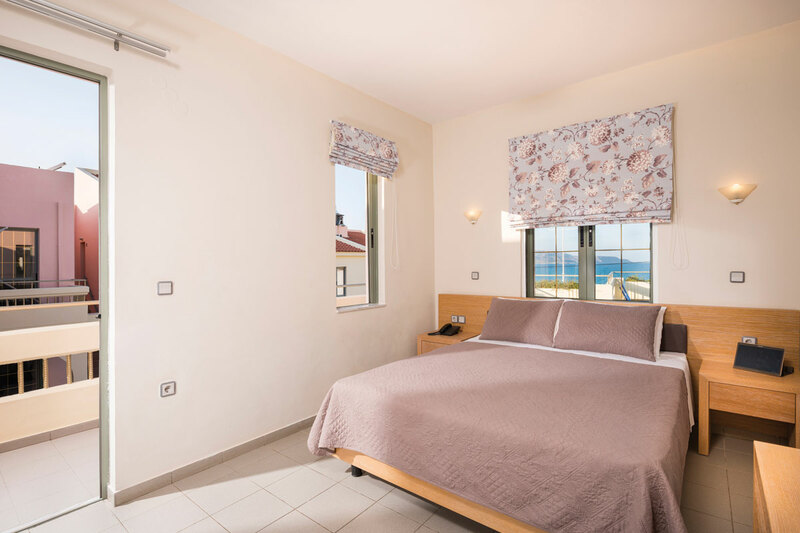 The bedroom has a double bed, the living area has two sofa beds and efficiency kitchenette while the private bathroom has a shower. 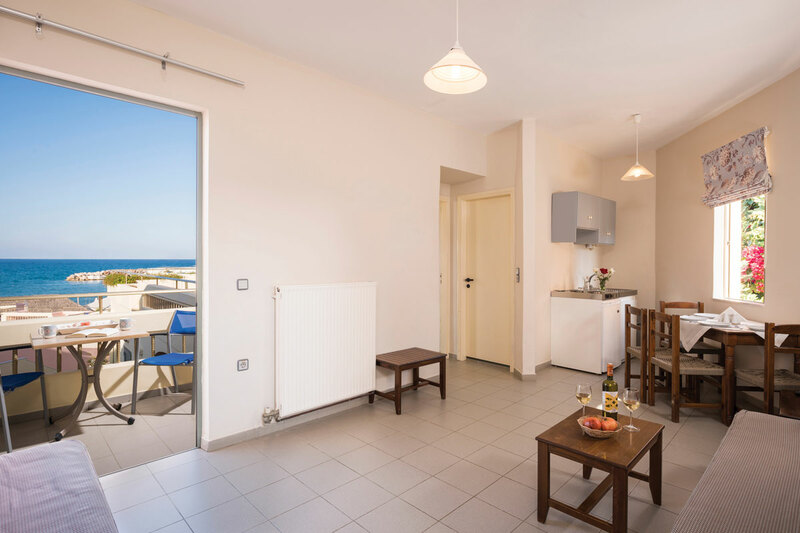 Both bedroom and living area walk out onto a furnished veranda with a pergola which is fully furnished with an outdoor dining table, a sitting area and sun loungers. It is located on the top level of the hotel, so there are two flights of steps leading to this level.